Drugs-store-online.com is a leading supplier of online medication throughout the world and all the medications are available at discounted rates thereby enabling the patients to save on money as well as time. The company claims to be a professionally managed distributor of generic medications and offers high quality customer services to all. 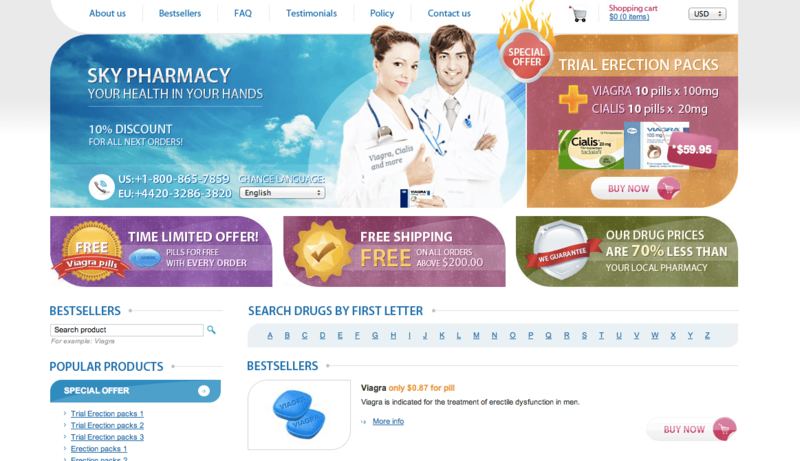 Drugs-store-online is focused on perfect delivery and values every customer. The company puts every effort to meet the security and privacy standards for both personal as well as e-commerce information. All the products are delivered within the shortest possible time. While going through the information provided in the website we found the logo of CIPA on the website claiming that the site was CIPA approved but when we checked the CIPA website we found that drugs-store-online.com was not in the CIPA member database. This raised suspicion regarding the authenticity of the website and various questions came in our mind. We found both positive and negative reviews about this company but most pharmacy reporting sites had negative feedbacks about this company. As per Scamadviser and Scamvoid the company has a trust score of 0% and the site is blacklisted by trusted security services Threatlog. This means that the website may be used to distribute harmful software and is not safe for use. The company has a poor reliability and trustworthiness and has also a poor social network presence. According to Legitscript the company does not fulfill the internet pharmacy verification standards and violates state or federal laws and regulations. Since most of the reports are negative about this company, we can say that it is not very safe to use the website as your confidential information can be misused by unauthorized persons. We would suggest online buyers to thoroughly search the net for some reputed online pharmacies so that they can buy high quality medications at cost effective rates and avoid such unreliable scam websites.